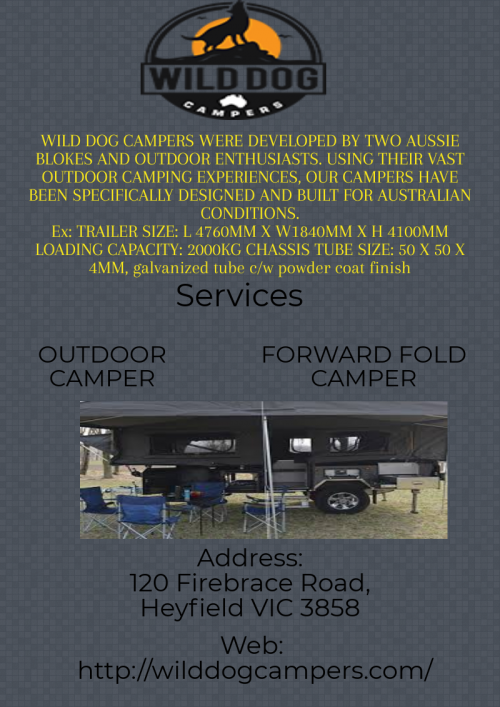 Did you want the working about FORWARD FOLD CAMPER, please call to our experience or friendly WILD DOG today! Because we are built OUTDOOR CAMPER TRAILER for your required condition. So hurry up.